Bay View Resort consists of split- level cottage. Situated on the hilly terrains of Leam Hin and Surrounded by thick groves of trees. From the lodges, you can see the panoramic view of Phi Phi Ley island. At the Front of the resort lies a pure and white beach. Our rooms provide unmatched comfort and privacy. Traditional air circulation is provided, however Air-conditioning is available. Enjoy the freshest seafood and drinks which are always available. 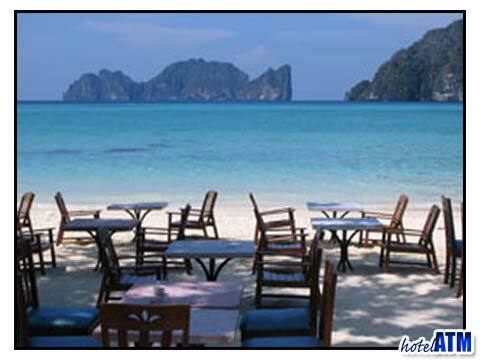 The Bay View Resort features in our Top 10 hand-picked hotels for 5 categories, including Best Budget Hotels in Phi Phi, Best Mid Range Hotels in Phi Phi, Best Bungalows on Phi Phi Island, Best Beach Front Resorts on Phi Phi, Best Hotels in Phi Phi Don Village.